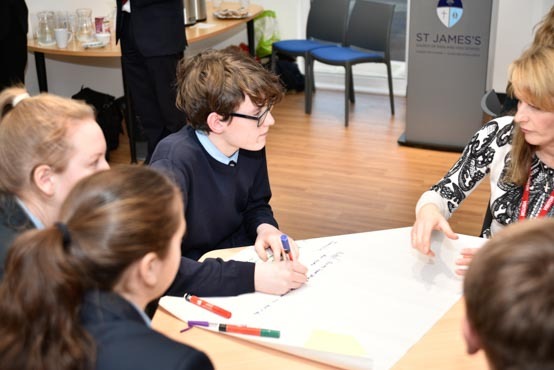 Since 2013, Felpham has been working with Future First to expand its alumni network and invite former students in to share their knowledge and experience. Felpham aimed to boost the engagement of Year 9 students in their science lessons by involving scientific learning in their careers. This focus on science through alumni engagement also chimes with growing calls from businesses and government to upskill students in STEM subjects. The first week saw a visit from Victoria, an interior trim planner at Rolls Royce. During the session, students looked at the materials science which Victoria uses in her job on a daily basis. The students had the opportunity to explore areas such as product testing by conducting ‘elongation tests’ on sample materials. Another example of an instantly relatable role model was Nick. He is currently studying Mechanical Engineering at university, and as such, was only a few years older than the students. He wasn’t particularly confident in maths and physics at school, but when he realised he needed those subjects to be an engineer, it made him focus and he started working harder. Nick’s lesson focused on energy transfers, and various stations were set up around the classroom, each with a different experiment. Nick brought in a model steam engine to show how energy transfers, demonstrating the practical application of scientific theory. I learned much more about engineering and what it had to offer. The students loved him as much as he was a similar in age...he demonstrated that science is used in a wide range of jobs and made the students think carefully about their future career paths.